The A Century of May Days: Labor and Social Struggles International Conference is scheduled to be held from April 29 - May 2, 2010. The conference is being organized by the Institute of Working Class History. The purpose of the conference is to discuss, debate and analyze labor and social struggles (both past and present). It will cover an array of historical and political topics. 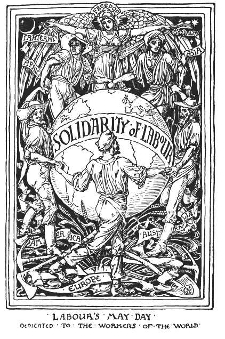 In addition to purely academic pursuits, conference participants are being encouraged to participate in the May Day rally organized by the Chicago Federation of Labor and the Illinois Labor History Society. This page was last modified on 7 October 2011, at 22:01.